In my previous article Try Ubuntu without installing - Booting from USB / DVD I explained how to try out Ubuntu without replacing your existing Operating System from a USB Stick or DVD. In this article, I am going to tell you how to install Linux Ubuntu on Oracle VM Virtual Box so that you don't even need a USB or DVD to use it. Before you can Install Ubuntu on Oracle Virtual VM Virtual Box, you need the VM software and .iso file of Ubuntu. 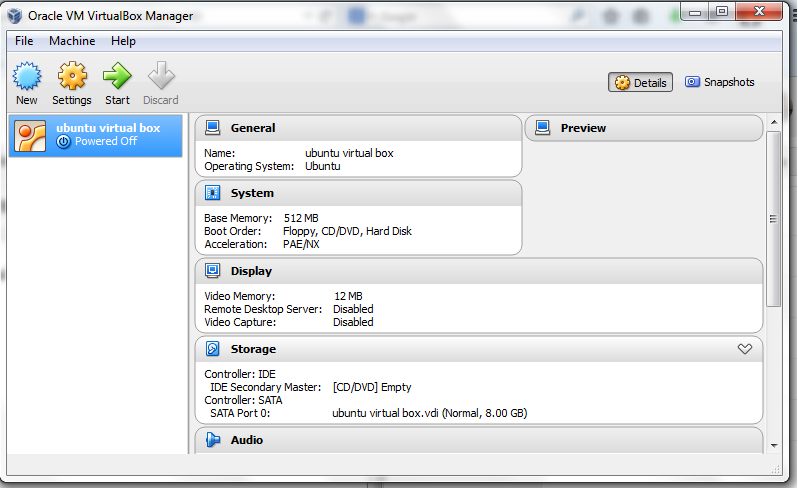 Steps to Install Linux Ubuntu on Virtual box. I have assumed that you have downloaded both the files and installed Oracle Virtual Box on your system. Step 1: Start Oracle Virtual Box. Click on "New". Give a name to the virtual environment you are creating. Select "Linux" as type and "Ubuntu" as version. Next. 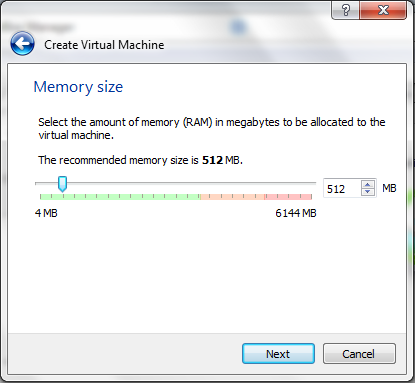 Step 2: Assign the memory size. The recommended memory size is 512 mb. I would say assign something more than the recommended size for a hassle free experience. Next. Step 3: Choose "Create a virtual drive now". Create. Step 4: Keep on navigating "Next" until the virtual box is created. You will be asked the size of the hard drive for the virtual drive. Step 5:You have successfully created a virtual drive. Initially, as you can see in the above figure, the virtual box is powered off. You need to select it and start. Now, select start up disk. You can select the iso image of Ubuntu you have downloaded. Click on next will lead you to the installation process of Ubuntu. Install it under Virtual Box and enjoy ubuntu without loosing your current operating system. Points to keep in mind while installing Ubuntu. 1. Choose the correct Ubuntu version. 2. Assign memory slightly more than the default value. It will give you a smoother experience. 3. If you have low end hardware, you might go for complete replacement of your current operating system with Ubuntu. Running Ubuntu will need resources. 4. Any more problems? You can always go to Ubuntu help forum. Perhaps there is already a solution present for your query. If not, post your question and people will help you. 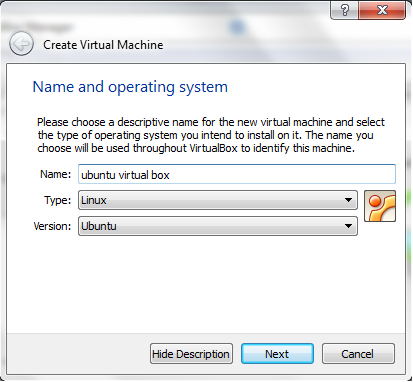 Installing Ubuntu on a virtual box will work the same way as your current operating system. Ubuntu is un-doubtedly one of the best Linux distributions for people who needs everything on click. The graphical interface is beautiful and working with it is easy. Still using the same old Windows? Switch to Open Source and try out Ubuntu. You will love it for sure.